I didn't get too many positive vibes from Meadowstone Place as a community. It's more or less an apartment facility that is stacked around and built with elevated and ground floor pathways. They have an outside swimming pool, but I was not very impressed with the activities. The one lady I met was very pleasant. It did not fall on my shortlist. There wasn't anything really highly negative, but there wasn't anything that was highly positive either. They were doing some maintenance. The facility struck me as not very comfortable or in as good condition as the other places if you have mobility impairments. I have lived at Meadowstone for almost 8 years. It is a great place with a wonderful, caring and helpful staff. They are so cheerful and always ready to help in any way they can. My apartment is my home and I can walk outside where there are trees, grass, flowers, butterflies, herb and rock gardens. It is located in a lovely neighborhood among h9omes which is so nice. The activities are many and varied with something for everyone. Plus we have many programs from the colleges nearby. It is a big and wonderful family here! Having been a resident of Meadowstone Place for a year I can honestly say moving here was one of the best decisions of my life. As a long time Dallas resident, I was interested in this property first because of location . After visiting and touring the grounds and seeing the lovely landscaping and vegetation, I was ready to move. Equally impressive is the professional, friendly and capable staff from the highly qualified maintenance department to the personal leadership of the office staff lead by our Community Director, Lawana . The food is excellent and well balanced. The variety of activities to suit many tastes led by very competent Activities Staff range from outings to local theater attractions and venues, entertaining lectures, musical programs , in house games, trips to local restaurants, etc. make life interesting and just plain "fun". No pressure to participate but available when wanted creates an atmosphere for friendships to blossom. When asked what do I like about Meadowstone, I say "What's not to like!" My husband and I have lived at Meadowstone Place for over ten years. It was our first choice when we downsized and moved here, The staff is very friendly and accommodating and are willing to work with one on any problems that arise. The activities area plan more activities than one could possible attend, unless they have more energy than we do. The maintenance staff upholds the fine Meadowstone tradition, with excellent service and a variety of talents that allow them to fix anything - with a friendly smile. We have two wonderful chefs who provide a variety of menus and dishes; they're open to trying one's recipes, too. Plus, we are fortunate to have five Master Gardeners as residents. Our campus is gorgeous! Please do consider Meadowstone for your new home. All of the staff members are friendly and helpful and you won't find a nicer group of residents anywhere! Are you looking for a place that truly feels like home? Meadowstone is the solution to your search! The environment is beautiful with mature trees and lovely flower gardens. The staff is awesome, kind and caring! The community of residents is friendly and interactive. After living here just five months, I feel adopted into a new family of friends. The food is GREAT, the activities and transportation are very accommodating and the apartments are really great! I love to walk in my front door and out my back door, just steps away from my car! I'm so glad I chose Meadowstone Place! I have lived here for a year and a half. The staff are fun, caring, and capable. They ask for input of our ideas of places to go, programs and activities here. I am allowed to plant beds to take care of, which is very important for my health and wellbeing. The grounds are well cared for and maintenance is handled very promptly. I couldn't have picked a better place to live. Atmosphere is warm and receptive. Staff is totally resident centered, respectful of individual differences and preferences, open to suggestions and new ideas. They seem genuinely happy to be working with each other and for the residents. Residents seem happy and content with staff and with each other. Their ever present smiles and welcoming attitudes towards new residents, as well as visitors rives evidence of their contentment. Activities - wide variety, many off campus - transportation often provided. Meals and snacks - delicious, lovely landscaping, much done by residents, maintenance prompt and thorough. I feel very fortunate to live at Meadowstone! My loved one has lived at Meadowstone the past 4 years. I visit and have lunch in the dining room with her each week. I cannot say enough about the wonderful staff, the residents, the apartment grounds and dining! The staff knows & cares about each resident. They are seen around the property and go out of their way to brighten everyone’s day, even us visitors. The residents care about each other. There are many opportunities for socializing, but talking in the breezeway or checking on each other by phone or having a cup of coffee keep Meadowstone a cheery place to live. There are many activities residents can choose to attend or not. I love that some of the residents who like to garden have made the apartment grounds beautiful to walk around with something blooming all the time! They even have a vegetable garden that all residents share. Dining at Meadowstone is a delicious option. My loved one eats the noon meal each day to socialize and because the food is delicious. (She always has a doggie bag to take back to her apt). The chefs are so sweet & caring. If weather is bad or she does not feel like going to the dining room, they deliver to her apartment! 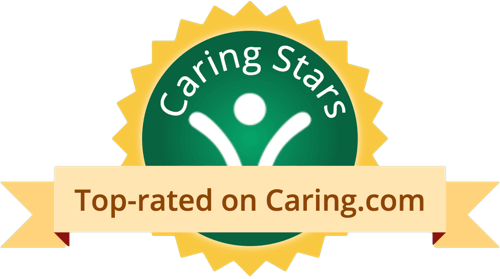 Meadowstone is an upbeat, safe and caring independent senior living that I highly recommend. We moved my mom and dad into Meadowstone in August 2017 and my mother tells us that my dad wakes up every morning and says, " ...another day in paradise!" And my mother's constant refrain is "I just can't believe it!" We looked all over Dallas, visiting other independent living communities and found nothing that came anywhere close to it. From the beautifully landscaped grounds to the warm and helpful staff, my parents' experience has been nothing short of fabulous. The activities are relevant, plentiful and creative, meeting a wide selection of interests and are led by competent, committed, caring people who seem to really enjoy what they do. My mother just raves about them. And she loves the library. The housekeeping service has been outstanding and any time they have needed anything taken care of it has been addressed right away. When I visit, I am greeted as one of the family by the staff, who know who I am and who my parents are- it's just the real deal all the way around; a sweet community in the truest sense of the word and we thank the Lord every day for it and the joy my parents are experiencing living there. My Dad has 24/7 care due to his Parkinson's, BUT....the staff is amazing! They make sure all of his needs are taken care of!! Lovely, spacious apartment, great food, activities, and programs are offered. I would love to live there myself!!! Everyone goes above and beyond!!! I moved into Meadowstone Place almost four years ago and it was one of the best decisions I ever made. This is the second senior community in which I have lived and by far the best. The staff here care for the residents like they are family members not just residents. They go out of their way to make us feel special. The apartments are lovely and very well laid out and the grounds are wonderful with plants and flowers everywhere. Lots of places to wander. And activities of all kinds, a wide variety of things to choose from. The residents here are happy and our lives are full and we look forward to each day here, knowing that there is always something new and special coming up; a great meal in the dining room, a bus trip to see the Bluebonnets, a game of bridge or stopping at the Community Garden to pick some herbs or spinach for a salad later in the day! This is not just a residence- It is our home, our neighbors are our friends and we care about each other here. This is a very special place to live! We moved here two months ago and found it suits our needs for independent senior living. the amenities provided with our residence here are very good and we re especially pleased with the staff. They are very responsive to our requests for services and often provide things that we didn't even ask for. I would recommend this facility to anyone who wants a central location in Dallas with access to services for seniors. Spacious, well-maintained apartments in convenient location. Caring, supportive staff. Wide range of activities and excellent food service. My mother- in-law has thrived (not just lived) at Meadowstone Place for two years. She is very involved in all of the activities. The staff does an excellent job of keeping her involved and finding the best ways for her to contribute. She feels useful and needed. I am so grateful for the loving environment. We looked at a lot of places when she was moving here - Meadowstone is very unique. Meadowstone's staff will go above and beyond to make anything you need to happen. My mother has lived independently at this facility for almost 5 years. She has been very comfortable and content with the location, her apartment and her care by the staff. I toured about 6 different independent living places in the Dallas area before deciding on Meadowstone. My decision was based on 1. the friendliness, competence and caring of the then marketing director who is now the executive director and 2. the friendliness of the residents who came to meet me while I was having lunch there as part of my tour and 3. the fact that meals were optional and 4. that the apartments all had balconies and were open to the outside and 5. that the grounds were well maintained and filled with all kinds of plants and flowers. I've been here for about a year and a half and it was absolutely the right choice for me. I thought Meadowstone was a beautiful community. The staff and residents were very nice and accommodating. I thought it was well laid out, the food was great, and the lady was extremely helpful. I would have loved to live there, but it was too expensive. Meadowstone Place was small and nice, and the people were very pleasant. The dining area was clean, and the food was delicious. The chef even came out and talked to us. We saw that there was a lot of interaction between the professional staff and the residents. I saw a very nice apartment. I was very satisfied with the place. It basically sold itself compared to the others I have visited. Meadowstone Place is delightful, and it's probably a little more appropriate for what I'm looking for. The staff was lovely and a gentleman there had the layout that I was looking for. The staff asked if he minded if we came by to take look, and he goes "No problem at all." He greeted us, walked out, and let the staff tour me through the location he had. The place is a redone condo unit, so it is truly independent living, and it gives you more of a sense of having your own place as opposed to walking up and down a common hall. It has activities, and you could do a lot of things with the folks there. It's in a central location in that part of Dallas that there's easy access to any of the other things that you wanted to do. We've never seen anything better than Meadowstone Place; we loved it. The staff was very friendly and helpful. It was very clean and very well cared for. Everyone we spoke to, especially the staff, was very friendly. There was an exercise class going on while we were there. The dining area was very nice. The food at Meadowstone Place was really good. I liked the dessert. The people I had lunch with were very friendly. It is right on a bus route, so it is convenient for public transportation, but they have transportation which will take the residents to the grocery store. They also have an outdoor pool. I like the fact that it is in a residential neighborhood. Meadowstone Place is where we put my parents and we absolutely love it there. The facility is absolutely wonderful. Their staff and apartments are equally wonderful too. Their chef is fabulous. My parents are just very happy there. The price in particular is also affordable, so we have been very pleased with this facility. I just can't say enough about them. They really have activities for their residents. My dad enjoys their tai chi, yoga and swim classes. He also plays bingo a few times. They also have happy hours every week. In fact, I'm going to my parents tomorrow because they have a famous violinist coming in to perform. I would absolutely recommend this place to everyone. If I was 55, I would go there myself. 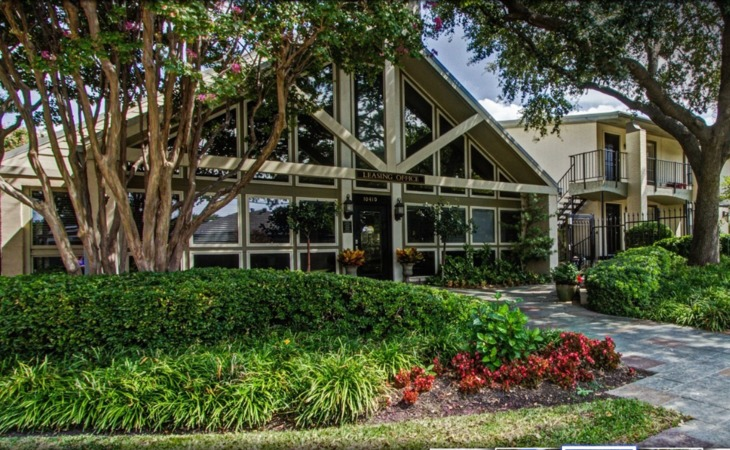 We offer some of the largest senior apartments in Dallas, ranging from 833 – 1,666 square feet, with full-size kitchens and private patios or balconies. We are an activity-based community with a full-time Activities Director offering a diverse calendar designed to keep you as busy as you want to be and provide excellent opportunities for you to get to know other residents. At Meadowstone Place you are in control. It is all about the choices you make, and here you pay for only the optional services you choose including meals, housekeeping, on-site beauty salon services and off property activities. Call or visit today. Thank you for your interest in Meadowstone Place. Please give us a call to schedule a free tour. What should caregivers and potential residents know about Meadowstone Place?